LUSAKA, Zambia (AP) — Zambian President Michael Sata, dubbed “King Cobra” for his sharp-tongued remarks, has died in a London hospital after a long illness. Vice President Guy Scott, a white Zambian of Scottish descent, became the country’s acting president on Oct. 29, making him the first white leader in continental sub-Saharan Africa since 1994 when South Africa moved to majority rule. 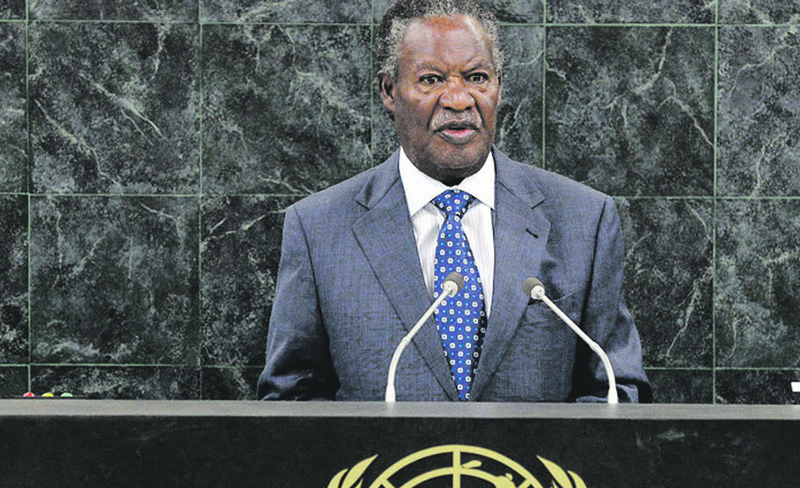 Sata, 77, had largely dropped out of public view months ago as his health deteriorated. The government did not divulge details of his condition, but some Zambian media outlets said he suffered multiple organ failure. Rumors that Sata was deathly ill had long gripped Zambia, and opposition groups had questioned whether he was fit to lead a country of 15 million people that has enjoyed robust economic growth but suffers widespread poverty. He had served as president since 2011. Under the constitution, Scott, a 70-year-old former agriculture minister who also worked in Zambia’s finance ministry, cannot run for president because his parents were not Zambians by birth or descent. Defense Minister Edgar Lungu, who also runs the justice ministry and is secretary general of the ruling Patriotic Front party, said it is a difficult period for Zambia and the party that Sata founded. “The government remains intact and so does the PF as a party,” said Lungu, who is considered a possible presidential candidate. Sata died Oct. 28 at London’s King Edward VII hospital with his wife, Christine Kaseba-Sata, and his son, Mulenga Sata, at his side, said Cabinet secretary Roland Msiska. The son is the mayor of the Zambian capital, Lusaka. U.S. President Barack Obama and first lady Michelle also sent their condolences. “The United States remains committed to our enduring friendship and partnership with Zambia, and strongly supports a peaceful constitutional transition of power as the country moves forward during this time of sorrow,” Obama said in a statement. On Sept. 19, Sata spoke at the opening of parliament in Lusaka, poking fun at speculation about his failing health and insisting that he was still alive. But he later failed to give a scheduled address at the United Nations in New York, where police said doctors treated him in a hotel room.